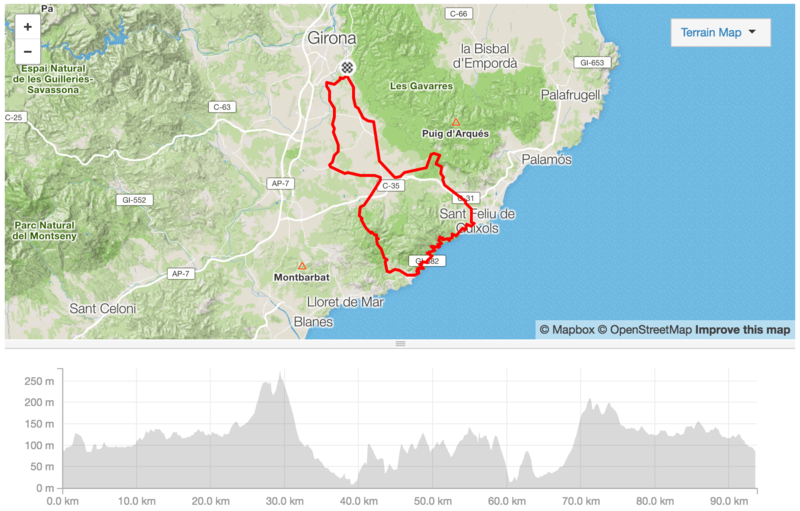 A fantastic ride north out through rolling countryside to the climb of Mare de Déu del Mont which, at an average gradient of 4.9% over 18.5km, will provide a nice ‘warm up’ of the legs! 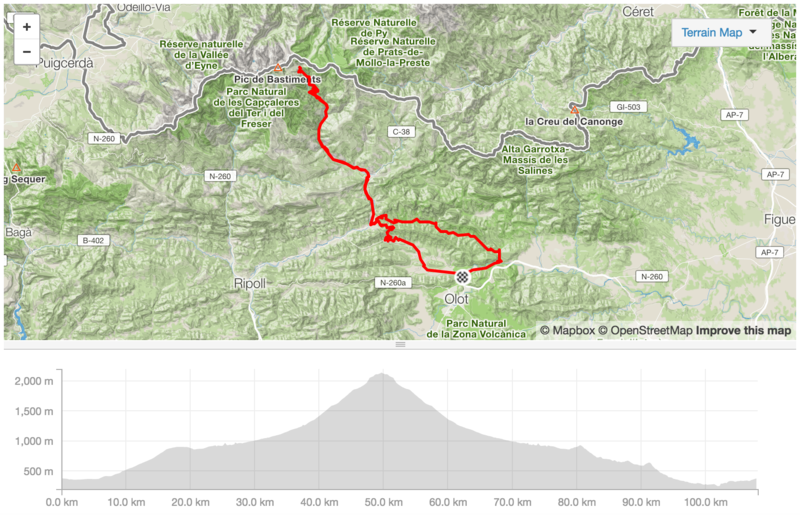 After the climb, we can descend to Besalú or push on to Banyoles for a late lunch and a few beers before riding the final 30km to home. A 45 min drive from the house to Olot, where we’ll park up. Lunch in one of the towns on the descent before heading down the mesmerising turns of the Vall del Bac and then back to Olot. 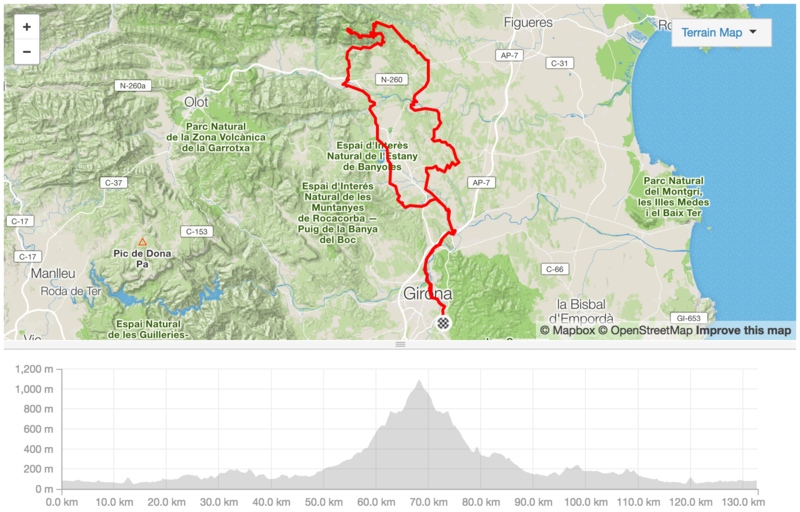 A fairly easy day out to the coast, to keep everyone fresh for the Gran Fondo on the Saturday.